I think most gravely, thanks to our protestant pastors, catholic priests and other clergymen who continue to proselytize, propagate and preach escapist piety, who continue the works of the long-gone Spanish friars -who taught and conditioned our ancestors, to value ignorance, fatalism, and blind obedience to the church. Thanks to the still mainly medieval christianity, specifically medieval Catholicism, the Catholic hierarchy and its priests continue (giving credence to famous dictum by Karl Marx) to concentrate and preach on the promise of a heavenly afterlife and ignore the present - which is really easy, convenient and useful for those in the know among the affluent and powerful. Here's an interesting piece on a true, regressive characteristic of the Filipino written by Teodoro C. Benigno. What is in our culture is prayer. My neighbor columnist, Prof. Felipe Miranda of Pulse-Asia fame, attests to that in his latest column titled: A most prayerful nation. One of the very few academicians in the Philippines who regularly writes for print media and appears often in the broadcast media, Pepe Miranda tells us the Philippines, alongside Tanzania and Puerto Rico, are, in a list of 48, the most prayerful countries of the world. That really doesn’t come as a revelation.The famed Jesuit priest, Fr. Horacio de la Costa, years ago wrote that although the Filipino was in rags, you would find two jewels inside those rags: the jewel of prayer and the jewel of song. And on both counts, he was dead right. The Filipino prays more than any other national I have encountered. Former president Corazon Aquinio prayed a lot, still does. When I was a member of her cabinet, I often saw her head lowered in prayer. Often, she summoned others to pray with her. Another person who prayed just as much was the late Betty Go-Belmonte, overall boss of The Philippine STAR. On occasion, she collared me to a corner of the room so we could pray together. Our publisher Max Soliven came late for STAR rites so hecould avoid the prayers. What do Filipinos pray to God for? Professor Miranda said millions prayed for better health, for better chances or opportunities to finish their education, for jobs, any kind of job, for more food so they could eat adequately, for good or better government because, here, they felt they had either been betrayed or forgotten by the powers that be. What object lesson do we get here? Filipinos are an extremely patient lot, meek, submissive, subservient even, seek from God whatever they cannot get from their government which is almost everything. In other countries, the citizenry is not that pliant, patient or pious. They inveigh against the rich and the powerful. Oft-times they rebel or they revolt. They feel it is their right to demand a better life from the government. And if the government doesn’t give in, they organize protest groups, or they take to the streets. They fight. 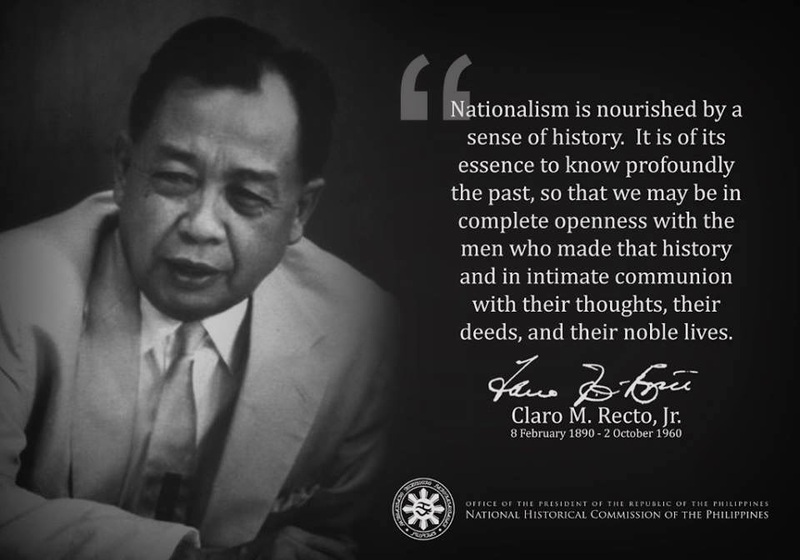 For them, national progress is a matter of right, not a favor from the powers that be. So they seethe inside them, scrape layers of anger from their psyche, raise their fists, smolder, and, when the time comes, fight. Here, the Filipino prays. Lacerated he may be, wounded he may be, insulted and exploited he may be, the Filipino does not or hardly revolts. He prays. He is Sisyphus who keeps rolling his boulder up themountain. Each time, he nears the top, the boulder falls and he falls with it.And the Filipino does this again and again. And he keeps smiling, even when double-crossed time and again by the government. And so what do Filipinos do when he does not get what he rightfully deserves? Professor Miranda says they pray in the churches, resort to pious genuflection. All this despite, the professor says, Malacanang’s repeated flouting of the people’s rights. "They will suffer the authorities? Political incantations over and over gain and just as fecklessly; continue reciting their own feckless prayers, unmindful of the truth that God or the gods will help only those that truly help themselves first. Not so much with hopeful prayers but with decisive political action." In rounding up the subject, Professor Miranda points out that "at the other end of the scale, with less than 20 per cent of the public praying at least once a week, are Vietnam (9 percent), Czech Republic (15 percent) and South Korea (40 percent). Japan (20 percent) Singapore (45 per cent), score significantly lower than the Philippines in prayerfulness. "It goes without saying that as a result of more than 300 years of colonial rule under Catholic Spain, religion was drilled into the Filipino like a jackhammer. He was not yet a Filipino then, but a tribal member, since the appellation Philippines (Las Yslas Filipinas) came only when the revolution came.The revolution came and went. The American colonial regime came and went. Hundreds of years came and went. But the mystique of ultra-conservative Catholic prayer, its power of incantation, its exhortation to meekness, patience, suffering, humility, has remained.